Since October 1st this year, modified trading hours have been trialled in the Market; opening consistently at 3:30 AM, five days per week (this is an hour earlier on Tuesdays and Wednesdays). Informal feedback during the trial period has been mostly positive, with sellers commenting the 1-hour change on Tuesdays and Wednesdays has had very little impact on the running of their businesses. Buyers have experienced a bigger impact with the extra hour on those two days making it significantly easier to get buying done and be back to stores in good time, reducing time spent caught in traffic congestion. In mid-December the MMA asked for your feedback via email on the Market hours trial, where again, the comments were almost all positive. We are pleased to announce that we will be adopting the trial hours of a consistent 3:30 AM opening, 5 days per week, on an ongoing basis. 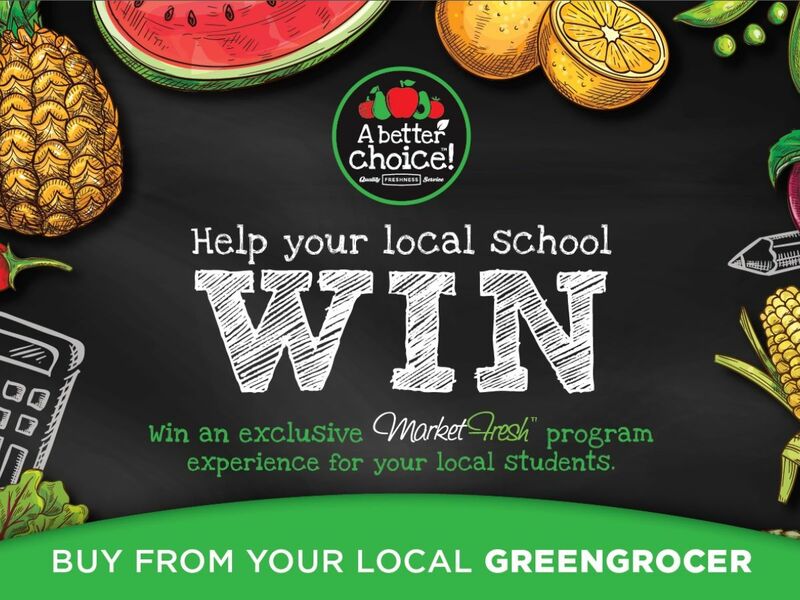 This week A Better Choice members will receive information on where to collect their back-to-school promotional pack. The pack will include an entry box, entry forms, and in-store promotional material. It’s easy for your customers to enter, all they need to do is spend $15 or more in-store to receive an entry form. Customers nominate a school of their choice to win, so they can support the local community regardless of whether they have school age children. If you would like to participate in this great competition, and you haven’t already become a member, join the A Better Choice program today! Nomination Forms and Terms of Reference are available from the MMA Administration Office. The MMA Board and Management would like to thank outgoing advisory committee members for their commitment and contribution. 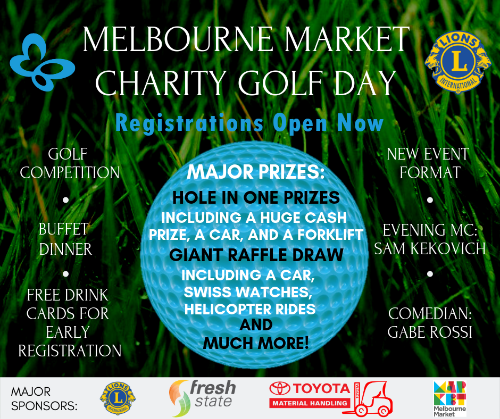 This year we are looking forward to a great line-up of Melbourne Market events, one of the most popular events of the year is undoubtedly the Charity Golf Day! 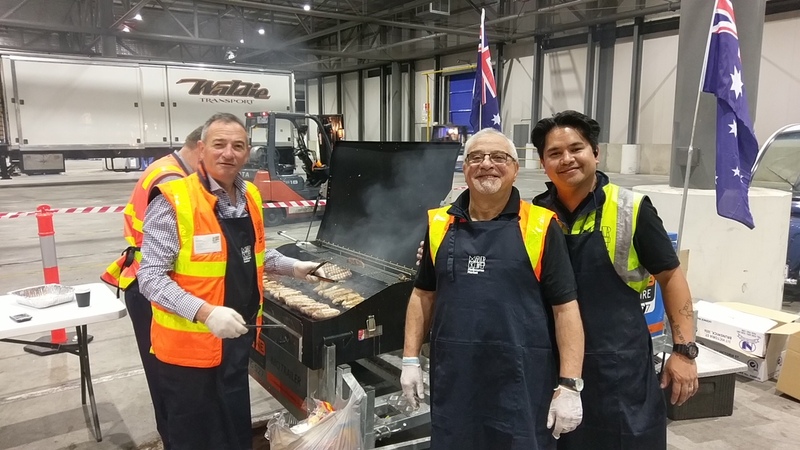 The event will be held on 15 March and funds raised will go to DEBRA Australia, who support people living with Epidermolysis Bullosa (EB), a rare disease where the skin blisters and peels at the slightest touch. Two different ticket options are available for purchase. For those who want to participate in the full day’s program you can buy tickets for an individual or a golf team of 4 (which comes with 4 tickets to the major raffle), beginning with an 18-hole golf competition and lunch, followed by an evening of dinner and entertainment that will also include the drawing of the major raffle prizes. If you would like to be part of the day but would prefer to attend the evening’s events only, there is also a dinner and entertainment ticket option, so that everyone can have a great night and support this important cause. Finally, for golf teams looking to get a competitive edge or some extra entertainment on the day, there are some high-profile celebrities and golf professionals up for grabs through a Celebrity Player Silent Auction. This silent auction can be found on the Fresh State website along with all the names of our celebrity guests, and the winning bid will win the right to have their celebrity player on their team for the golf competition. This auction is open for bids now, so if you are looking to bid before the prices start rising, get in quick! To download a registration form, or for more information visit the Fresh State website or contact kate@freshstate.com.au. 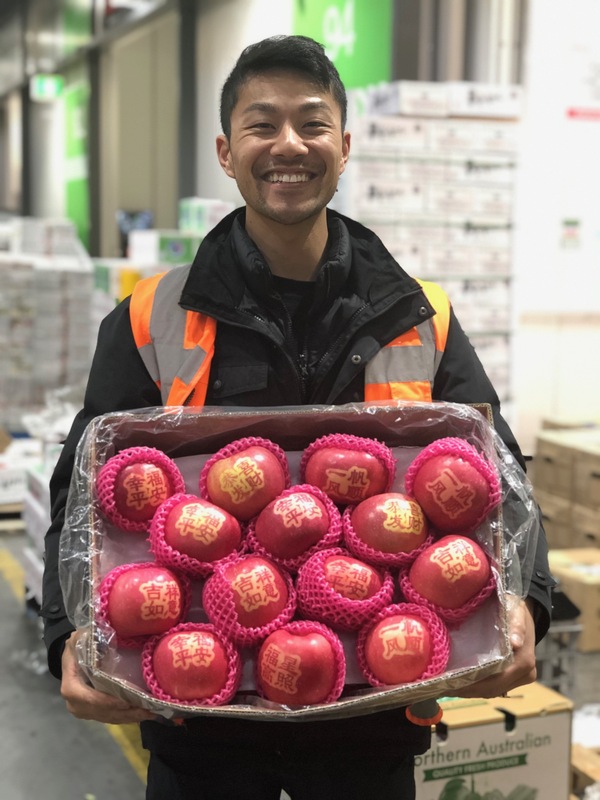 This week we talk to Tranh Truong from Aus Asia Produce. I manage all the operations of the business, liaise with local growers here in Australia and manage the sales team. Previously I worked as a buyer for Coles and then transitioned into the family business, working with my dad, six years ago. We are 50% Australian produce and 50% imported produce predominantly from Asia, hence the name Aus Asia produce. It would definitely have to be ‘the Queen’ and ‘the King’, in that order, the queen being the mangosteen, and the king is the durian. For the third I’d have to pick lychees, right now we’re in lychee season, and they’re great. For my wife, I got her the Kenyan rose called ‘Kiara’ that lasts up to two years. I bought it in August from The Orchid Man in the Flower Market and we’ve still got it at home in our lounge and it hasn’t dropped a leaf. So many things, probably have kids and start a family. I love the customers. They work so hard throughout the year to have fresh stock for the consumers everyday. I love seeing the new produce come in here every day and knowing I’m a part of that story and bigger picture in feeding the community. Thank you to all those who completed the Market satisfaction survey and letting us know your thoughts and ideas. The survey has now closed. 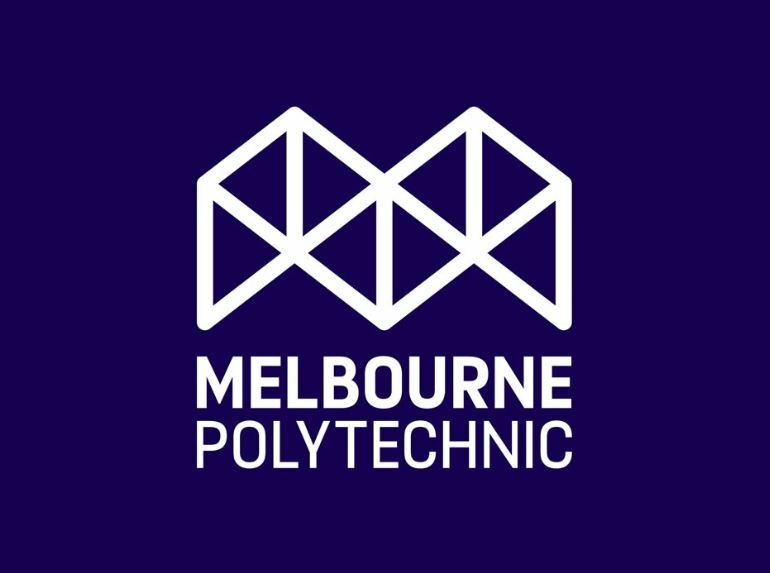 The first 65 people who completed the survey will be contacted via SMS or email over the next week with details on how they can pick up their $15 market cafe voucher. 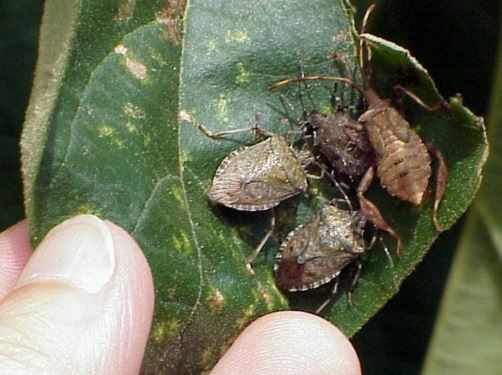 Agriculture Victoria is responding to a detection of brown marmorated stink bug (BMSB) in a Dandenong South warehouse. The pest can cause significant damage to horticulture crops and is known to feed on vegetable crops, fruit and ornamental trees. This is Victoria’s second post-border detection of the BMSB. The bug was also found in Clayton on 14 December 2018 with surveillance activities continuing in that area. Click here to read more on the AusVeg website.